"i would like to express my sincere gratitude to Faith Infotech and all faculty members who helped me during the training. The training program was very useful for me,that helped me to improve my technical skills,communication also my confidence level.Once again i would like to thank The Faith Infotech Academy for all the support and prayer." "Being a graduate from electrical and electronics background I didn't have sufficient knowledge in IT field.But Faith Infotech was such a wonderful place where I improved my technical skill,communication skill and aptitude skill.Besides technical training there were mock interviews and communication sessions,which helped me to improve my confidence level and communication skill.I am very thankful to all staffs of faith infotech." "The four months of training programme at Faith Infotech was a great experience for me.Even though I was a candidate from a non-IT background,the training provided by them really helped me to improve my technical knowledge.The communication classes were very helpful as it increased my level of confidence to attend a real interview and getting placed at Attinad Software.I would like to express my sincere gratitude towards each and every faculty of Faith Infotech for their guidance and support.I can strongly recommend any IT job aspirant to join this course as it is a great stepping stone towards their dream job." "I would like to convey my sincere thanks to Faith infotech Academy and all faculty members who helped me during Training Programme. Since i'm a Non IT student, this training helped me a to improve my Technical Skills. The Communication Session conducted during training helped me a lot to develop my Communication Skills and also it improved my confidence level too. The Mock Interview session helped me to face the Real Interview.It was Really an Efficient training programme and it provided a Friendly atmosphere.This atmosphere helped me to grasp more Knowledge from my Friends and motivated me to share my own ideas to others. Once again my Heartily Thanks to Faith InfoTech and I Wish This Institution would grow as well as Extends its Environment and would attains a Higher Position in Future." "The PROPEL IT Training program was very useful for me which helped me a lot in improving my technical knowledge as well as confidence level. Since they are starting from the very basic Programming Language, C Non-IT students also got the advantage. Also Aptitude and communication training that were given, is of good standard and helped me to improve my confidence level and skills. The soft skill sessions and mock interviews helped me a lot to get into this job. Thanks to Arun sir, Vani mam, Prem Joseph sir, Management and all the non-teaching staffs. Thanks to Faith InfoTech ." "I am thanking all faculties in faith Infotech .The training was very effective for me, being from a non-IT background I was not knowing much about programming before joining faith. But the training provided here helped me a lot to improve my technical skills as well as my communication and aptitude. Mock interviews conducted helped me to gain confidence to attend interview. Thanks Faith Infotech ... "
"During my Training at Faith Info tech, I especially appreciated being taught by Mr Arun with real world experience, ready to equip us to confront real situations in our professional careers. Faith Infotech offers a great environment where teamwork is put into practice. This allowed us to learn to listen and exchange ideas. What's more the events organised by Faith Info-tech gave students opportunity to meet each other and create contacts that will go beyond their studies. I sincerely thank Prem Sir and Renjith Sir who gave me good support in my communication and aptitude sessions. " "The Propel IT Programme by Faith InfoTech has provided me a good platform to improve my technical and communication skills. It helped me to increase my confidence level to face an interview and achieve my dream by getting a job at ATTINAD Software Pvt Ltd.I really thank all members of faith infotech to make my dream come true." "I am very grateful to the entire Faith Infotech team for transforming me into a real IT professional from a person who only dreamt about a good IT career.The PROPEL program conducting by Faith Infotech is a great platform for any IT aspiring freshers to start implement and rejuvenate their skills and also to overcome their drawbacks to fulfill their dream job.Regardless of the academic stream they are coming from,anyone can adapt to the most advanced technologies gradually from the most basic languages and technologies." "I got this job only because of Faith Infotech academy. Iam a 2011 passed out B Tech graduate, that was the only problem which I faced in hiring me by the companies till I join Faith Infotech. But faith taught me the lessons about passion and inspiration in the field of IT which made me to achieve my dream to be an IT professional. My humble suggestion to all my friends is to keep that spirit of passion and hardwork to achieve your desired goal, Faith is the only catalyst I have ever seen in my life to fulfil your dream. Thanks to all faculties of Faith Infotech academy for helping me to reach my destination. God bless you all"
"Faith Infotech has always given me the proper platform for developing my skills and knowledge in all aspects,which helped me throughout in my placement process. I especially express my sincere gratitude to Arun Sir and Prem Sir since they were always with me in all my needs.I had a memorable experience with all my friends and trainers in Faith Infotech." "I should really feel proud to hail the marvels of Faith Infotech Academy which stills continues to excel in the field of education, training and thus serving us to building our career in the software field. The 4 months long training programme at Faith Infotech Academy has assisted me a lot to horn my knowledge in software domain related to .net as well as further furnishing my communication skills. I am really grateful to the institution for providing me a great platform to develop and mend myself and, for helping me to pioneer my career in the software field. I once again take this opportunity to thanks all the staff members and trainers for giving me an admirable future." "With bills piling up and not knowing what lies ahead I found the opportunity to enter in Art Technology and Software Pvt Ltd. The Propel program of Faith Infotech pvt ltd allowed me to get a “foot in the door” and prove my worth as a good software engineer. I feel this job opportunity would not have been made available to me without this program. My family and I have greatly benefited from this program and owe a debt of gratitude to all teachers especially to Arun Sir." "Looking back today,I can strongly say that joining faith infotech academy was a really good decision.The four months of training has helped me to improve my technical as well as communication skills.With this training, I am looking forward to a bright and promising career in the IT industry.I whole heartedly thank the entire team of faith infotech academy especially Arun Sir,for his guidance and support." "What I have experienced from Faith Infotech was very useful in my life. I am very thankful to Faith Infotech and its faculties for giving such an opportunity to me . It s a good turning point for a student to begin a career in IT industry." "It was a great experience for me at Faith Infotech. I would like to thank you for giving me the placement opportunities. As I had done my Btech in Electronics and Communication Engineering, I had only very limited knowledge about the happenings in IT industry.Since they are starting from the very basic c, i utilized it very much...Mock Interviews that they are conducting were same as that of an original technical, and based on the feedback we have got a good idea of how to improve ourselves.. Communication training that they are providing is of good standard and helped me to improve my confidence level a lot... Its a good platform for freshers to get through interviews.I would like to express my sincere gratitude to each and everyone behind the propel program. " "An excellent programme , I learnt a lot. I am inspired to rethink the way I plan and present my work. The training methodologies are really good. A very high pedagogical standard.The aptitude and communication classes where really good. Also the Goal and NLP sessions conducted where really interesting. We’ll know what it feels to be part of a team.In short, it’s a life time experience ." 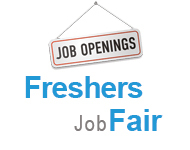 "It is a great opportunity for freshers who want to get into the software industry even graduates from branches other than Computer Science and Information Technology. Here we can learn programming from basics. And not only the technical side but also here they provides a great opportunity to develop our communication and soft skills. These things helped me a lot to face the interview. I would like to express my sincere thanks to Faith Info Tech and its Trainers for providing us a excellent opportunity." "It's my greatest pleasure to thank Faith Infotech from the bottom of my heart for providing such a perfect training which enabled me to grab a job in an MNC in technopark.Thank you so much." " I would like to express my sincere gratitude to the faith and its faculty.Before coming to the faith, I had very little knowledge on java .The programme really helped me to improve my technical knowledge.The soft skills classes were really good and helped me a lot in facing interviews confidently. The moto of Faith is absolutely perfect one. "Discover the Potential Deliver the performance."